Hard fighting militant group, Niger Delta Avengers (NDA) have bombed again, this time they bombed two oil wells belonging to Chevron oil. 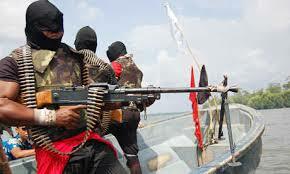 According to the militants who announced the bombing via their Twitter account said despite the presence of 100 Gunboats, 4 Warships and Jet Bombers belonging to the Nigerian army, it blew up Chevron’s Oil Well RMP 23 and RMP 24 at about 3:44am Wednesday, June 1, 2016. According to the group, they also denied reports that the military that 10 members of the Niger Delta Avengers were arrested. NDA also told the chief of army staff to stop lying. “We are not the ones killing your soldiers” the group said.